An international team with the participation of a researcher from the Consejo Superior de Investigaciones Científicas (CSIC) has managed to open the door to improving the fermentation efficiency of lager beer. The scientists, in two coordinated papers published in the latest issue of Science Advances, have used the mitochondrial genome of different species, including some strains of ale, and introduced it into the yeast hybrids responsible for the production of lager beer. The result is improved growth at high temperatures, which also demonstrates that mitochondrial DNA influences the ability of these microorganisms to grow at high and low temperatures. The production of lager beer, which accounts for 90% of the world production of this beverage, is carried out by interspecific hybrids between a Saccharomyces cerevisiae ale strain and a low temperature tolerant strain, Saccharomyces eubayanus. Unlike ale, which is fermented with S. cerevisiae at temperatures between 15 and 25°C, the lager is fermented at low temperatures, between 12 and 18°C, which requires more time. Researchers have discovered that manipulating the mitochondrial genome of lager hybrids and introducing the mitochondrial genome of S. cerevisiae allows fermentation at high temperatures. "Now we can raise the temperatures of the process, which could be faster. In addition, cooling systems would be eliminated, which would increase productivity while reducing costs. 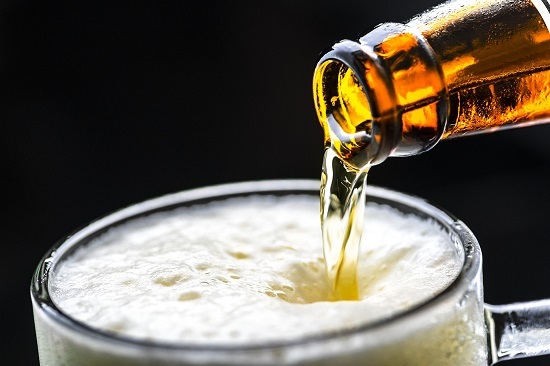 We have produced a patent on how to improve beer strains based on these data," explains David Peris, CSIC researcher at the Institute of Agrochemistry and Food Technology. In collaboration with scientists from the University of Washington and the University of Wisconsin-Madison, the researchers first observed how, by introducing certain S. uvarum genes (another low-temperature tolerant species) into S. cerevisiae, they could complement the ability to grow at low temperatures. These tolerance genes were of mitochondrial origin, which includes a mitochondrial gene, called COX1, as an important factor. In a second approach, hybrids were generated between S. cerevisiae and S. uvarum or S. cerevisiae and S. eubayanus, with mitochondrial genome of one of the three species (S. cerevisiae, S. uvarum or S. eubayanus). Hybrids with mitochondrial genome S. cerevisiae were able to grow better at high temperatures, while with low temperatures they did worse or did not grow at all. When they maintained the mitochondrial genome of S. uvarum or S. eubayanus, these hybrids reversed the growth profile, growing better at low temperatures and worse at high temperatures. "We have been able to demonstrate that one of the genetic factors involved in the ability to grow at high and low temperatures is found in the mitochondrial genome. This has allowed us to detect that the mitochondrial gene COX1, which encodes for a protein that is part of the electronic transport chain, important for respiratory metabolism, has a great influence on the ability to grow at high or low temperatures. Our results serve to open new lines of cross-sectional research to understand how other organisms adapt to changes in the earth's temperature and differentiate between species," adds Peris.